Tags: Disney, Feature Film, Foreign, Theatrical, Warner Bros.
Here’s hoping you like Rudyard Kipling’s The Jungle Book…. because you are about to get three animated feature versions in as many years. Based on their popular animated series of the same name, DQ Entertainment will be the first out of the gate with their The Jungle Book. 2015 will see Disney’s second bite at the apple, with their own remake of The Jungle Book. And not wanting to be left out, Warner Bros. is bringing up the rear with 2016’s Jungle Book: Origins. While DQ’s entry is first, and comes from the land of The Jungle Book, it will probably make the least impact on American audiences. But both Disney and Warner Bros. versions feature all-star casts, and both look to attract a ton of attention as they come to theaters. We have a score-card so you can keep track of which star is attached to which project…. DQ Entertainment’s The Jungle Book still has no announced cast, and no firm release date, but looks to be out by the end of the year. Based on the popular animated series that is also produced by DQ, the film will be a 3D, CGI animated feature. It is co-directed by Jun Falkenstein and Kevin Johnson, and written by Billy Frolick. Disney’s remake The Jungle Book is directed by Jon Favreau of Iron Man fame. The cast is highlighted by Bill Murray as Baloo, Idris Elba as Shere Khan, Ben Kingsley performing Bagheera, Scarlett Johansson as Kaa and Christopher Walken as King Louie. The film will be animated, much like the Disney original. The film is executive produced by Molly Allen, Karen Gilchrist and Peter M. Tobyansen and written by Justin Marks. The film hits theaters on October 19, 2015. 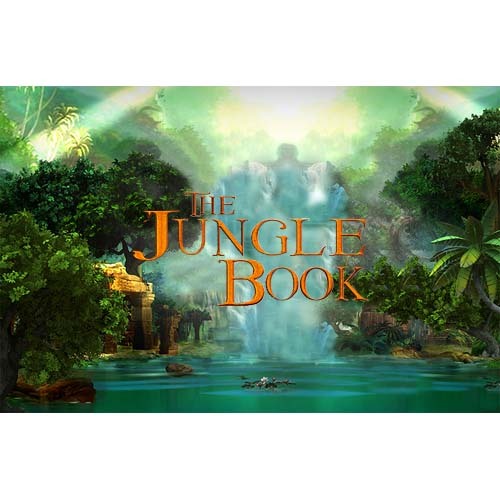 Warner Bros. 2016 entry is called Jungle Book: Origins, and promises to be the darkest of the various interpretations of Kipling’s tale. The name makes me worry; it makes it sound as if Warner is approaching this as a Marvel Comics sort of film. But then Disney’s is directed by the Iron Man director, so both have comic book tie-ins. This will be the first directing project for Andy Serkis, who rose to fame as the motion capture actor for Gollum in Lord of the Rings. Serkis was Warner’s third choice for this film; Alejandro Gonzalez Inarritu and Ron Howard were both in talks to direct this film before they both declined. The highlights of this cast include Benedict Cumberbatch as Shere Khan, Christian Bale doing Bagheera and Cate Blanchett playing Kaa. The film is written by Callie Kloves, and will be live-action with motion capture animation, much like Planet of the Apes (which also featured Serkis). Jungle Book: Origins will be in theaters on October 21, 2016. There is some wonderful casting in both movies, and it does sort of make one’s head spin. To help you keep the movies straight, we have developed this score card for you to keep track of who plays what in each film. Score the films, let us know which you feel will be the one not to miss! Angry Birds Bigger Than Disney?